For the past four years I have been involved in a collaborative project between my own institution Leeds College of Music, Rhythmic Music Conservatory (Copenhagen), Popakademie (Mannheim) and Codarts (Rotterdam). In addition to fun, excitement and travel, this project seeks to devise, implement and evaluate ways of engaging and inspiring teams of undergraduate songwriters and producers. On a revolving basis, each year a different institution hosts the project. Each institution sends 5 students and a tutor to participate; the 20 students and 4 tutors work together on a co-investigative basis on tasks set by the host institution. So far, these projects have included: writing for an established artist; developing fully realised song recordings from sketches written by a professional songwriter; writing music for an installation and writing songs for the character voices of student volunteers. Outcomes from these activities are collected in the form of recordings along with written and verbal reflections contributed by all involved, and are held in a database at Mannheim. Analysis of this data will be used to inform a key chapter in a set of articles I am currently writing on European Music Education, which draws upon my experiences of working with colleagues in the area of generative music over the past decade. 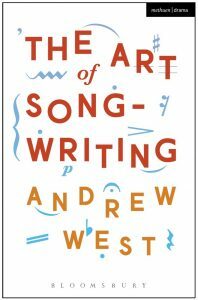 Professor Andy West, Head of Postgraduate Studies at Leeds College of Music, is the author of The Art of Songwriting, published by Bloomsbury in 2016. After nearly two decades of writing songs with Carlin and Warner Chappell in London and Nashville, in 2007 Andy wrote and course directed the world’s first MA in Songwriting at Bath Spa University. While some of his 350 published songs have featured in ‘Heroes’, ‘Lost’ and ‘True Blood’ and been cut by artists as diverse as Joe Brown and Stackridge, many of them have either ‘appealed to a select audience’ or are ‘awaiting public recognition’. 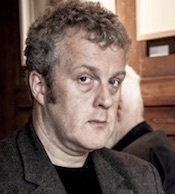 Having recently delivered songwriting workshops in Italy, Denmark, Norway, Holland and Germany, Andy is currently writing a book on the music of Paul Weller, for publication by Routledge in 2021.